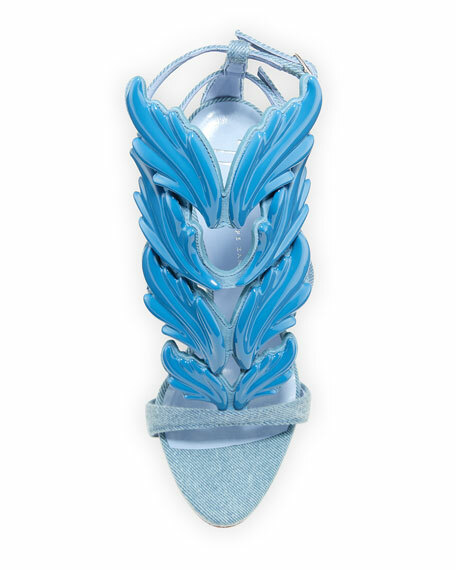 Giuseppe Zanotti denim sandal with wing embellishments. 4.3" covered stiletto heel with slight platform. For in-store inquiries, use sku #2412847.